Carrie Tanner didn’t ride into town on Friday. Kershaw County has been Carrie’s home as far back as she can remember. 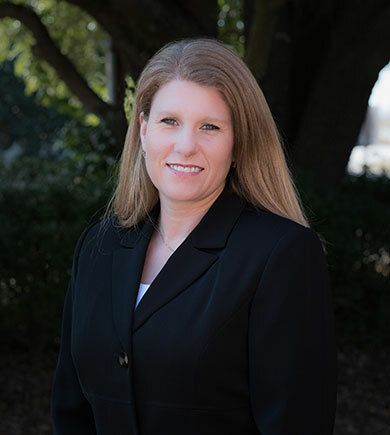 As a student at Lugoff-Elgin High School, Carrie’s dream of practicing law put her in stark contrast to other girls in school, many of whom hoped to become veterinarians or school teachers. After graduating from high school, Carrie set off for Furman University where she studied English and Literature for four years before going on to earn a Masters in Criminal Justice from the University of South Carolina. On the heels of that achievement, Carrie enrolled in the University of South Carolina School of Law, and three years later, diploma and license firmly secured, Carrie entered the practice of law. Shy of public speaking, Carrie intended to become a transactional attorney, stationed securely behind a desk. However, accepting a job as assistant solicitor in Kershaw County, she shed her apprehension over public speaking, coming to appreciate the opportunity to think fast on her feet. Carrie had only served in the solicitor’s office a little more than a year when she was approached by George Speedy about the possibility of joining him in private practice. Carrie joined George in June of 2000 at the firm now known as Speedy, Tanner, & Atkinson. She felt immediately drawn to domestic law, partly due to her soft spot for the children often involved. She recognizes the high stakes each client faces and her position to potentially make a difference in the lives of those who come to see her. Carrie is acutely aware that a final ruling in a case rarely provides any finality in the lives of the parties involved. Rather, the results will continue to impact the newly defined family unit as it adjusts to it’s “new normal,” usually with significant influence on how the children involved will be shaped and molded going forward. Witnessing clients reach a place of emotional stability is the greatest source of satisfaction in Carrie’s job. The opportunity to watch as clients, after much reassurance, come to realize everything will be ok: they’ll recover, their kids will be fine, and life will fall back into place. This transition to emotional stability and acceptance of their new circumstances is a reward that can’t be monetized. Working at Speedy, Tanner, & Atkinson is a true partnership experience for Carrie. The supportive and collaborative environment is one of the most important elements of the provision of high-caliber representation each client deserves. Running throughout the firm is a common thread of compassionate focus on the pursuit of what’s fair and just.